How far can you go on social media to express an opinion before the law deems it as predatory and harassing? 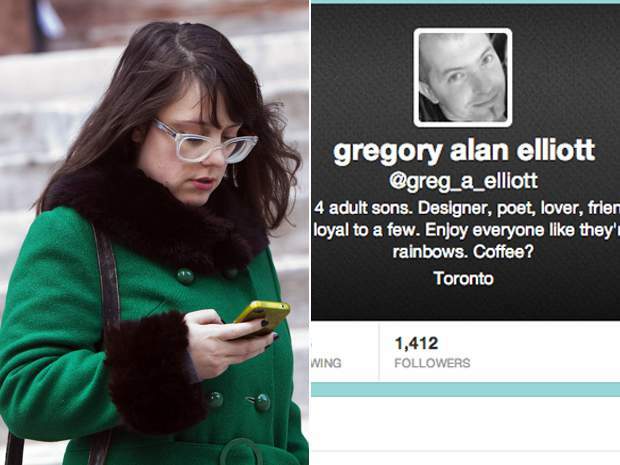 Gregory Alan Elliot a Toronto, Canada man accused of harassing two women over twitter has been found not guilty on Friday. The verdict comes in a case which had observers closely watching, with questions raised as to what constitutes criminal behavior online and where the law should intervene? Coming into trial the two complainants, activists, Stephanie Guthrie and Heather Reilly, testified that Elliott became obsessed with their Twitter feeds in 2012 and incessantly tweeted at them, prompting them both to block him. Nevertheless the pair argued Elliott continued to tweet about them and to tweet using hashtags they would read. Of note, none of the tweets contained threats to harm either woman, though they were frequently insulting or hostile. In deciding to file suit, Guthrie told it was the volume of tweets that led her to become fearful of Elliott. During testimony, Elliot countered that he should be free to express ‘valid political commentary’ and disagree with others on Twitter. To boot, the man’s attorneys suggested it was he who was being harassed online by a group of Twitter users including the two complainants, with the defendant in some instances ‘merely’ defending himself against what he deemed offensive accusations. Crown prosecutor Marnie Goldenberg argued the case was not about freedom of speech as Elliott suggested. Going into trial, Cara Zwibel of the Canadian Civil Liberties Association said that regardless of the outcome, the suit had already raised very important implications with respect to what now qualified as freedom of speech. Ultimately it’s thought a key issue which helped sway the judge was whether Reilly and Guthrie were genuinely fearful of Elliott as a result of his tweets, and if so, whether their fear could be considered objectively reasonable as per the law of criminal harassment. Eliot’s lawyer, Chris Murphy argued that Guthrie and Reilly retaliated against Elliott, shared his tweets and ‘taunted’ him, behavior the lawyer indicated that the plaintiffs were not really afraid of him. The Crown responded that the complainants were entitled to speak out about harassment and warn others about their alleged harasser. ‘To suggest otherwise sends a very negative message to victims that they should remain silent so that a “harasser” can continue preying on other individuals,’ Goldenberg wrote. If you've seen Gregory Alan Elliot in full hate mode you'll know how ridiculous his lawyer's just "an ugly political debate" claim is.